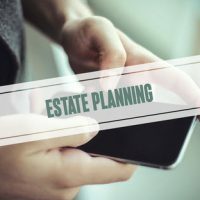 Part of making a comprehensive estate plan is ensuring that you designate trusted people who can make certain key decisions for you when you are incapacitated and unable to make the decisions for yourself. These decisions can be made on issues affecting your general legal, financial, and even medical affairs. There are different ways to transfer this authority to trusted individuals, and they have different consequences. Two such ways are by designating a health care proxy, and giving someone power of attorney. A health care proxy is a legal document that designates a person, known as a proxy or a surrogate, to make healthcare decisions on behalf of another who is incapacitated and cannot make those decisions himself. The scope of medical decisions can be outlined in the document. Health care proxies are also referred to as advance directives or advance health care directives. These kinds of designations are usually honored by medical providers, although they can be challenged in court under certain conditions. If a family member believes a person designated as a proxy is not abiding by the patients known wishes for example, the family member can go to court to seek judicial review and even an injunction barring the proxy from making further medical decisions. A power of attorney differs from a health care proxy in that it covers more than just medical decisions. A power of attorney is a legal document that grants a person (the agent) the right to legally act on behalf of another person (the principal) who gives this power through the document. The principal can give the agent the power to act on his behalf even while the principal is not incapacitated. Through a power of attorney, the principal can designate the agent to manage his property, sell assets as necessary, and even make health care decisions. The exact power granted to the representative depends on the language of the document, just as with a health care proxy. The actions of a representative acting pursuant to a power of attorney can also be challenged if the representative is taking advantage of the principal, or not acting within the scope of his authority. There are different types of power of attorney designations. A general power of attorney grants the agent the right to generally oversee the principal’s affairs, while a limited power of attorney grants the agent authority to act on the principal’s behalf with regards to a specific issue. However, these power of attorney designations can end when the principal is incapacitated. For more long term application, the principal needs to give the agent a durable power of attorney. A durable power of attorney survives the principal’s incapacitation whereas other power of attorney designations end at the principal’s incapacitation. The principal is allowed to revoke the power of attorney after execution by either giving the power to another agent, or executing a written documentation revoking the power of attorney. With these documents in place, a person can rest easy knowing he will be taken care of in times of sudden incapacitation. You do not have to be ill to prepare for possible incapacitation. Getting a health care proxy and transferring power of attorney can both be great ways to ensure that your wishes are honored regarding your care when the time comes. For these and other estate planning needs in the Villages, Florida, contact the Millhorn Elder Law Planning Group for a consultation today.